Home Food Whisky Distillery in Nantou! When you think of whisky, what country do you think of? Scotland? Many consider to be the home of the malt, or at least the spiritual home of the much-loved spirit. Or maybe even Japan with the recent rise of the Yamazaki whisky. But many other countries also produce whisky, one of which is Taiwan. 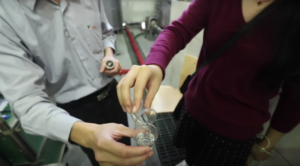 Foodie CaCa goes to visit a whisky distillery in Nantou, Taiwan. It produces the critically-acclaimed Omar Single Malt Whisky! The Nantou Distillery is situated in Nantou Hsien, Taiwan. The distillery was founded in 1978 by the state-owned manufacturer of tobacco and alcohol, Taiwan Tobacco & Liquor Corporation. It handled the production, delivery, and sales of tobacco and liquor products in Taiwan. But it was only till 2008 that they produced their first whisky! The Omar Single Malt Whisky! 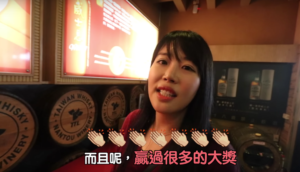 This Taiwan made whisky has won several awards, and most recently was named Grand Gold in the Monde Selection 2018. The distillery has 4 stills in total, One is able to distil 7,000 litres, two are able to distil 5,000 litres each and the final still is able to distil 2,000 litres. On Foodie CaCa’s trip to the whisky distillery, the one thing she is most looking forward to is the wine tasting. 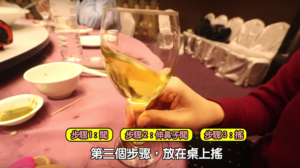 But there are proper steps to tasting whisky as she shared at the end video. First you have to pick the cup up and smell the wine, the next step is putting your nose closer to the inside of the glass and smelling again. The third step is to put the glass back on the table, and shake in a circular direction. Finally pick up the glass again and take a sip. Got it? Now you can impress your friends with your wine tasting abilities. Next articleHands-On Experiences in Thailand!